These are a series of frequently asked questions often received by the All Japan Kendo Federation (AJKF). What is the AJKF Number? Does the AJKF Number change? No, it does not change. Even if your dan grade or affiliated federation changes, your AJKF Number on the AJKF Membership Management System does not. Practitioners are issued one number only. Is the AJKF Number the same for kendo, iaido, and jodo? No, the AJKF Number is not the same for kendo, iaido, and jodo. The data for kendo, iaido, and jodo yudansha are held on separate databases. If you are promoted to shodan in iaido or jodo and already have an AJKF Number for kendo, you will receive a new AJKF Number for iaido or jodo. How do I check my AJKF Number? From September 2017, it is now possible to search for your AJKF Number, and for a fee you can request shogo title and dan grade certificates through the All Japan Kendo Federation homepage. Click on the AJKF Number Search button on the left side of the top page. For practitioners who were promoted from shodan to 5-dan after the dates below, your AJKF Number is printed on the bottom left of your dan grade certificate. I have been told that I do not have an AJKF Number. Is it possible to make one? The AJKF Number system was created when shogo and dan grade registration was computerized so that each member could be easily identified. In the early stages of constructing this database, a decision was made to include data for shodan from after 1982, and for 2-dan after 1977. However, yudansha have not been given an AJKF Number in cases whereby they had acquired dan grades before the stipulated dates, had not practiced kendo for a long time, or had not taken an exam for the next dan grade. 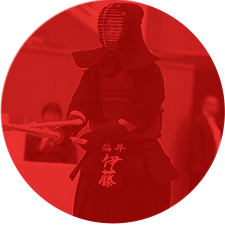 If you are restarting kendo and would like to attempt the next dan grade, it is possible to inquire about obtaining an AJKF Number from your regional federation. The All Japan Kendo Federation will be able to issue a new number so be sure to inform us. In order to issue a new AJKF Number, the federation will need to check your dan grade in the previous registration system (paper ledger). It would be greatly appreciated if you could inform the federation when you acquired the dan grade, the venue, and any other relevant information that will make it easier to find your records. ＊ Please note that it may take some time for an AJKF Number to be issued if the information supplied is vague or unclear. ＊ Please note that an AJKF Number cannot be issued if your dan grade cannot be confirmed. Can a shogo or dan grade certificate be reissued? A shogo or dan grade certificate can be reissued only if they were issued by the current AJKF president. This means that certificates issued before July 2, 2013 cannot be reissued. Requests for reissuing a certificate are made through the regional kendo federations. If you require a new certificate, please apply through the federation with which you are affiliated. Applications cannot be made directly to the All Japan Kendo Federation. What is the “Proof of Shogo/Dan Grade Acquisition Certificate”? The All Japan Kendo Federation issues certificates to practitioners who pass shogo or dan examinations. If your certificate is lost only those issued by the current president can be reissued. This means that certificates issued before July 2, 2013, cannot be reissued. If the All Japan Kendo Federation cannot reissue your certificate, a substitute “Proof of Shogo /Dan Grade Acquisition Certificate” can be issued for a fee. Regular certificates are applied for through the practitioner’s regional federation, but the “Proof of Shogo/Dan Grade Acquisition Certificate” can be applied for directly at the All Japan Kendo Federation. Where can I learn kendo? The All Japan Kendo Dojo Federation is related to the All Japan Kendo Federation. They should be able to introduce you to a local dojo, association or club. Where can I buy kendo-gu (armor) and shinai (bamboo swords)? You can search for a local “budogu” (martial arts equipment) store through the All Japan Budogu Cooperative homepage. Are there doping tests in kendo? the National Sports Meet (Japan).